Recently I switched from openRC to systemd. It was a tough choice, but beside the many, many discussion that took place over the years, I decided to give it a try. So, here we are trying to do the transition. I followed the detailed guide provided by Gentoo on how to install systemd. After I finally rebooted, everything was working as expected, beside one little, small, annoying thing: the boot was taking 90 seconds. Apparently the service wpa_supplicant@wlo1.service was not enough. Something was using a multi-user device. With a little help from my friend grep I found out the culprit. While the aforementioned file was referring to the multi-user device, the file /etc/systemd/system/multi-user.target.wants/wpa_supplicant@wlo1.service looked good. 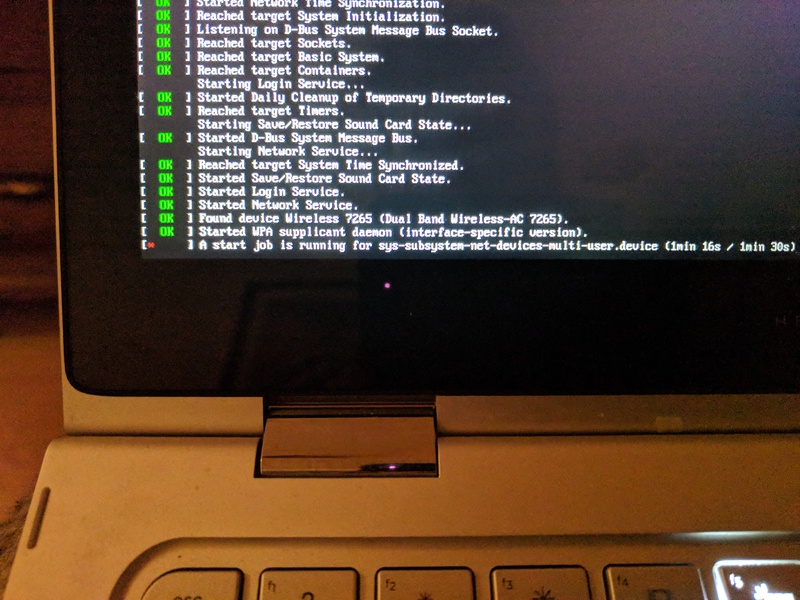 I hardcoded the interface in the mentioned file, in vim you can simply do :%s/%i/wlo1/g and at the next reboot, the boot was quick as one would expect. Probably making the wpa_supplicant@.service a symlink to wpa_supplicant@wlo1.service would have sufficed as well. NOTE: I only had wpa_supplicant@wlo1.service enabled with systemctl enable wpa_supplicant@wlo1.service.